On April 29, the Boston-based American company Vertex Pharmaceuticals Inc. had a conference call in which the company’s financial results in the first quarter of 2015 were reviewed. 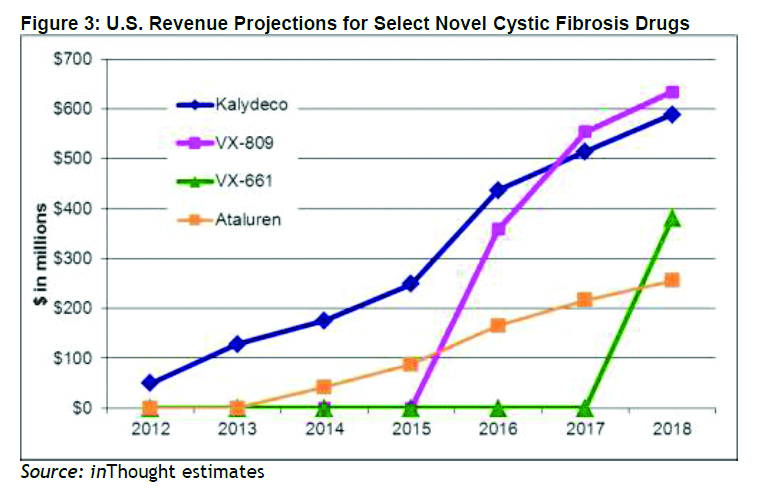 According to Jeff Leiden, 2015 is a very important year for Vertex Pharmaceuticals, which is the lead pharmaceutical company in the development of cystic fibrosis treatments. Cystic fibrosis is a disease which makes sticky mucus develop in the lungs and other organs. This leads to digestive problems, infections and even early deaths. Around 1950s children who suffered from cystic fibrosis could rarely survive long enough to finish elementary school. Because of the improvements in care, according to the Cystic Fibrosis Foundation, nowadays a cystic fibrosis patient is usually expected to survive until early 40s. Vice President of Investor Relations Michael Partridge who delivered an address at the beginning of the conference, Chairman and CEO Jeffrey Leiden, Chief Commercial Officer Stuart Arbuckle and CFO Ian Smith were key participants at the conference. The rest of the participants were analysts such as Geoff Meacham of Barclays Capital, Matt Roden of UBS, Katherine Xu of William Blair, Mohit Bansal of Deutsche Bank & Company, Matthew Harrison of Morgan Stanley etc. Stuart Arbuckle reviewed the performance of KALYDECO and announced the preparations for launching ORKAMBI. KALYDECO was a breakthrough treatment. In 2012, it was the first drug which treated the underlying causes of cystic fibrosis. In the US and international markets, the drug is used in treating patients who are six years or older and who not only suffer from cystic fibrosis but also from a particular genetic mutation in their CFTR gene (CF transmembrane conductance regulator), a mutation known as G551D. ORKAMBI is the follow-up drug to KALYDECO. The new drug which awaits approval combines the active ingredient present in KALYDECO and Lumacaftor, another drug. During the conference call, Jeffrey Leiden announced that Vertex Pharmaceuticals is focused on obtaining the approval and successfully launching ORKAMBI and, at the same time, improving KALYDECO. Leiden estimated that, by the end of the year, nearly 3.900 patients will be eligible for KALYDECO treatments. ORKAMBI will be made available to almost 8.500 patients who are 12 years or older and are diagnosed with two copies of the F508del mutation. The Vertex’s CEO also mentioned that the company finished enrolling in a Phase III safety study which tested this combined medicine in children with ages between six and eleven who suffer from two copies of the F508del mutation. If the results are successful ORKAMBI will be made available in the US, said Leiden. Vertex’s stock is on an upward trend since June 2014 and investing now would be a sound choice for anyone. According to Arbuckle in the first quarter of last year KALYDECO revenues increased 31%. This quarter, global sales reached $130 million $72 million of which were US sales and $58 million were non-US sales. So the drug underwent a rapid uptake both in Australia and in the US. Arbuckle expressed his delight regarding the large number of people with cystic fibrosis who have access to the drug. The company intends to make the drug available in most European countries. Ian Smith declared that Vertex Pharmaceuticals is in a strong financial position and aims to deliver a future financial profile corresponding with the company’s large-cap biotech peers. As Alexion Pharmaceuticals has closed a deal to buy Synageva BioPharma, other market participants are expecting the next biotech deal and Vertex Pharmaceuticals may fetch close to $45 million from Gilead Sciences if the deal goes through. On May 6 Joshua S. Boger, director of Vertex Pharmaceuticals sold 11,700 shares of the stock on the open market at an average price of $122.79. The total transaction amounted to $1,436,643.00. After this sale Boger owns 386,284 shares of the company’s stock which represent approximately $47,431,812.36. A series of analysts have commented on Vertex’s stock, which is now valued at $30 billion. In a research note, analysts from Robert W. Baird offered a positive rating on Vertex Pharmaceuticals shares. The company received a “buy” rating from RBC Capital which set a price target on shares of $130.00. William Blair analysts repeated an “outperforming” rating and set an increased price target at $138.00. The previous one was $126.00. The company received another “buy” rating from Canaccord Genuity analysts who established a $150.00 price target on Vertex pharmaceuticals shares. Sixteen analysts gave the stock a “buy” rating, seven a “hold” rating and from one analyst Vertex received a “sell” rating. On average the stock has “buy” ratings and the average price target is approximated at $137.18. In April the company announced ($0.62) EPS for the quarter which means that it surpassed the consensus estimate reported by Thomson Reuters ($0.75) by $0.13. On a year-over-year basis Vertex’s quarterly revenue was up 16.9 percent and for the current fiscal year the company is expected to post $-2.08 EPS. Regarding the release of the new drug ORKAMBI on Friday, federal health regulators reported that the experimental combination drug helped improving the breathing of cystic fibrosis patients. However according to the FDA (the US Food and Drug Administration) the benefits are small and it is not yet clear whether the addition of a second drug ingredient contributes to the effectiveness of the pill. The FDA will name a panel of outside experts to device whether ORKAMBI will be approved next Tuesday. In company trials patients who were treated with this drug for six months showed a 2.5 to 3 percent improvement in lung function. Although the amelioration was statistically significant, the FDA decided that they must determine the clinical importance of the magnitude of the improvement. Scientists question whether patients would experience the same improvements if they were to be treated with the single ingredient contained in KALYDECO. Since Vertex has not tested its new drug ingredient individually it is difficult to establish its benefits. The FDA should make a decision regarding the new drug by July 5. In the past Vertex Pharmaceuticals conducted similar clinical trials in which they mixed and matched combinations of antiviral medicines destined to treat hepatitis C. Cambridge MA-based Vertex conducted its operations in San Diego in collaboration with Alios Biopharma, based in South San Francisco. The two companies managed to develop a combination of drugs which increased the cure rate and diminished the side effects in patients who suffered from hepatitis C. FDA approved the drug in May 2011. The drug, known under the name of Incivek brought Vertex Pharmaceutics sales of $951 million in its first six months on the market. However things did not go well. In 2013 the drug sold only $86 million in three months. The cause was the appearance of new superior drugs produced by Gilead and AbbVie. 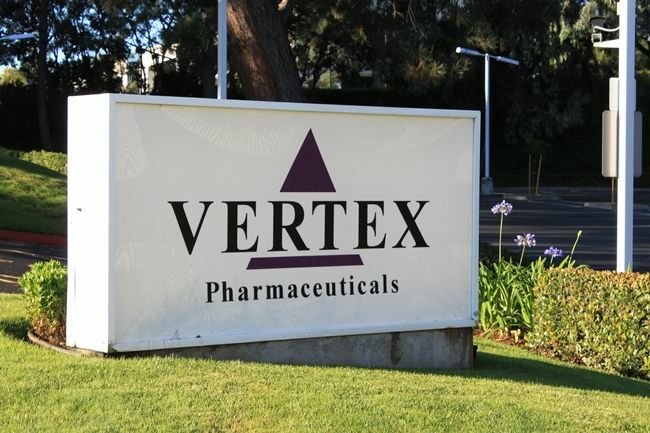 This incident created a huge gap in the future earnings of Vertex Pharmaceutics so the company needed to cut costs in order to make up for the loss. This resulted in staffing cut. It was the first major series of layoffs Vertex had experienced in the past decade with 370 jobs being cut globally. Right now Vertex Pharmaceuticals Incorporated offers both careers and internship opportunities to those who want to make a difference and are in search of a job which enables them to participate in developing lie-saving medicine. As the company’s quote says, “Innovation happens at the Vertices” so Vertex needs a team with experience and varied academic training. Although the approval of the drug ORKAMBI would be beneficial for Vertex Pharmaceuticals, the company should pay attention to the FDA’s concerns regarding the drug in order to avoid the same problems which the company was faced with when Incivek sales dropped. Biotech and pharmaceuticals analyst Mark Schoenebaum from the research company Evercore ISI in New York suggested that the FDA could approve the drug , but also require the company to conduct another post-approval study in which to use only KALYDECO in order to verify whether the combination with Lumacaftor brings any benefits or not. Schoenebaum remarked that he believes that the risk of regulatory non-approval is not zero, but still low. Analysts approximate that this year Vertex will lose more than $400 million. However in 2016 they project that the company will earn more than $1.1 billion. In addition, according to a consensus of forecasts, in 2017 the profits could climb up to $2.2 billion and in 2018 they could reach $3.2 billion. If things go so well there will no worries regarding staffing cuts. On the contrary, the salary of a Vertex Pharmaceuticals worker would be much wished-for. In case any annual profits are earned in the following three years the company has already promised several executives retention bonuses which amount to more than $53 million.